This form has bright grennish yellow foliage with red-orange tints in full sun. 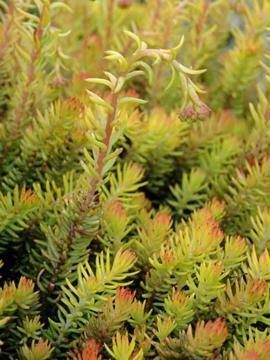 Vigorous, free spreading, mat forming evergreen alpine. Upright stems carry clusters of star-shaped yellow flowers in summer. Selected by Christian Krass, Sarastro Nursery, Austria.